Born in Berlin in 1964, Björn Colell studied the guitar with Professor Mariangelez Sanchez-Benimeli at the Hochschule der Künste in Berlin where he graduated with honours. Lute and Early Music Studies at the Royal College of Music in London with Professor Jakob Lindberg led to the ARCM Diploma. Between 1993 and 2002, he taught the lute and historical guitars at the conservatoires Felix Mendelssohn Bartholdy of Leipzig, and Carl Maria von Weber of Dresden. Björn Colell's teaching activities are complemented by occasional master courses. In concerts and recordings Björn Colell performs as a soloist, as well as in chamber music and as a continuo musician in orchestras and operas. International concert tours led to the most prominent concert halls of Europe, Japan and the Americas. Among others, he performed in the New York's Carnegie Hall, the Royal Albert Hall of London, the Theatro Colon of Buenos Aires and, of course, the Berlin Philharmonie. He is a member of the Berlin Barock Soloists, and a welcome guest to various other ensembles specialised in the performance of early music, such as the the Akademie für Alte Musik Berlin, Freiburger Barock Orchester, Drottningholms Barockorchester and the Berlin Barock Compagney. He especially enjoys his successful duo partnerships. Establishing the ensemble "Ombra e Luce" with the baroque violinist Georg Kallweit, Björn Colell has also performed with other reknown duo partners such as Maurice Steger and Philippe Jaroussky. 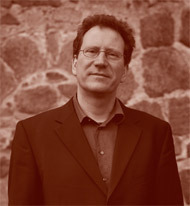 Björn Colell has accompanied numerous CD recordings, as well as radio and television productions. Critics and audience alike rejoice in Björn Colell's outstanding qualities as both a sensuous accompanist and a virtous player.